HÀ NỘI — A former professional footballer and manager from France is coming to Việt Nam to help the national team qualify for the World Cup in 2030. Philippe Troussier played in the second division of the French league in the seventies and eighties before moving into coaching. He has managed a number of teams including Marseille at club level and national teams in Africa. 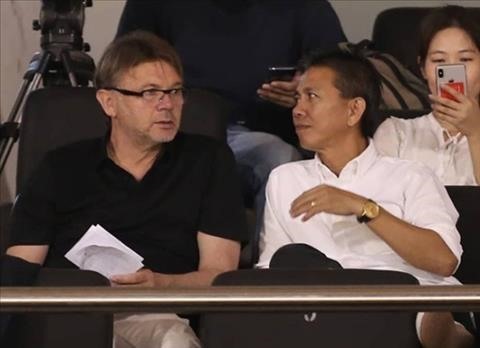 A spokesman for the Promotion Fund of Vietnamese Football Talents Football Club (PVF) said Troussier has a wealth of experience managing teams at high levels. “We asked Troussier to be our strategic adviser to train and develop players with aim at helping Vietnamese football to enter World Cup. “We believe with his rich experience as head coach of seven national teams, leading many teams to become champions, runner-ups, top four of the FIFA Confederation Cups and World Cup U20. During his time in Việt Nam, Troussier will work with several football clubs, partner centre of PVF, watch games and meet officials of VFF to share experiences in training and developing young teams. He will also discuss with Vietnamese football managers building and promoting the basic role of community and school football. “Vietnamese football really needs experts and experienced managers like Troussier. We completely believe he not only assist PVF but also provides helpful contributions to national football system. We hope having a significant partner like him, Vietnamese football will have bigger steps of development,” said an official of VFF.